Jesus was late. Or so they thought. Knowing the backstory is important. Jesus’s very good friend was sick, and this sickness was both fatal and fast-moving. Yet, Jesus had spent much of his earthly ministry healing people of all kinds of illnesses. He had proved his ability and his willingness to heal. He had healed people in front of him and he’d healed people from a distance. There was even a time where he healed a man because of the faith of the man’s four friends. He was the healer. Certainly, it was a sure thing that he would heal his very good friend, Lazarus. In fact, the message relayed to him was, “Lord, the one whom you love is sick.” The expectation for healing was high. Lazarus’s sisters told Jesus about the illness and gave him time to respond. They were hopeful that the healer would come quickly and restore Lazarus. But as time went on, they must have grown discouraged. Days passed by and still, Jesus did not show up. Ultimately: Lazarus died waiting for Jesus. Then Jesus came. Late. It appeared that it was all over. Lazarus died and Jesus failed for the first time. He was too late. Or was he? The plan was never to heal this temporary illness. The plan was to bring Lazarus back to life. It was a miracle that mirrored Jesus’s own death, only a few days later. And at that moment, with the sky dark and the Messiah hanging from the cross, it seemed though the Messiah had failed. But he is the resurrection! And three days later, Jesus proved it by coming back to life. This is your Savior. There is so much sadness and loss in life. Perhaps you wonder, does Jesus know? You have told him repeatedly through prayer and lament, but it looks like he has failed you. It looks like he is late. Remember the resurrection of Lazarus. Remember the resurrection of Jesus from the grave. The one who is called a man of sorrows and acquainted with grief is also the one whom death could not hold. He borrowed the grave and gave it back in three days. He has beaten death to death. He is willing and able to meet you in your need and he will at the exact, perfect, and on-time moment. Jesus will not be late for your appointment. Do you believe this? Easter proves it. 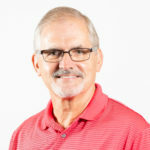 Don Bartemus is the Pastor of Compassion Ministries at College Park Church. He and his wife, Cheryl, have been in ministry since 1987. Don believes Compassion Ministries exist to respond to the physical needs of people in order to participate in the fulfillment of the purpose of God in their lives. Don came to faith in Christ at the age of five through a Christian family. He attended Cedarville University, received a B.A. in Bible. He attended Grace Seminary and earned a M.Div. in Biblical Studies and later a Doctorate of Ministries from Grace Seminary. Don and Cheryl have been in youth ministry, teaching ministries, and pastoring in the states of Iowa, Ohio, and Indiana. He is passionate about caring for people through hard times and enjoys spending time with his wife, children, and grandchildren.